I had always said that I would go to Glastonbury even if I was pregnant and I stood true to that in 2016. I didn’t have the easiest of pregnancies. It wasn’t all together difficult either but I became a complete insomniac who was living on an average of two or three hours sleep a night and then commuting a total of three hours every day on top of an eight hour working day. It was absolutely exhausting and I wasn’t the best company! 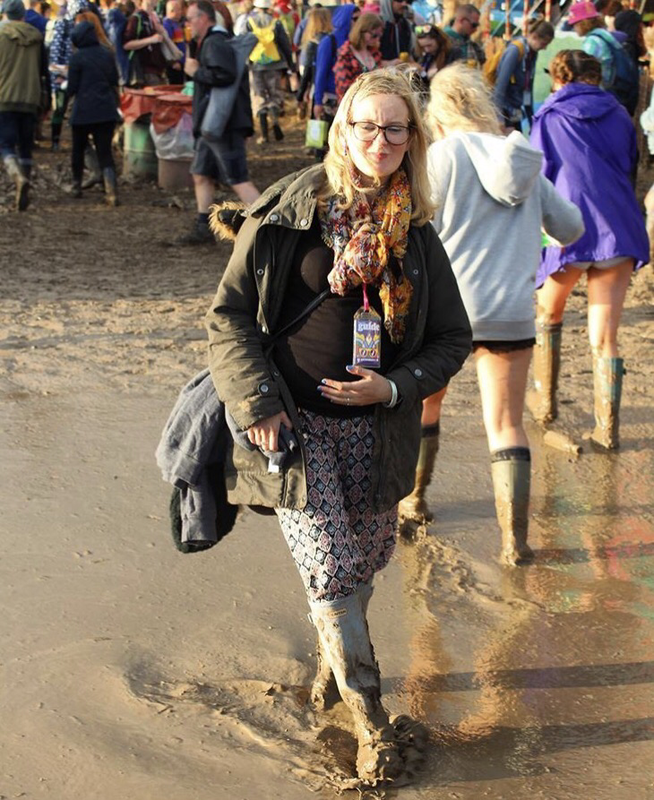 It was to this backdrop that I went to Glastonbury – pregnant! Did I have a good time? Yes! Was it tough? Yes! Would I do it again? 100% totally yes! It’s going to be tough – there’s absolutely zero point pretending it won’t be so it is worth going along with that in mind but stay positive. If things don’t go to plan then it isn’t worth getting worked up about. Just adjust your plans slightly and move on. Note: although generally I was quite positive about it all, I did have my moments where it all became too much! In pregnancy, especially later in pregnancy, everything tends to ache a little so camping can be a bit of a killer. That said, my best sleep in pregnancy was while at Glastonbury which I put down to being well prepared with equipment designed to help make things more comfy. A decent sized tent (when you have a big bump you won’t want to be crawling around everywhere), a self inflating mattress (we invested in this one from Outwell which was amazing) and lots of blankets/sleeping bags/pillows are essential. Don’t scrimp on it just because you don’t want to carry it all. It really will make the world of difference. So one night we had a lot of rain, so much rain that our tent leaked. Of course, it didn’t leak over a single item of Alex’s but did leak all over my carefully selected Glastonbury maternity wardrobe. I was devastated. I was six months pregnant and literally the only clothes that I had with me that were dry, were those on my back. My brilliant husband sorted it of course. He spoke to the ‘Welfare’ team who told him to grab the clothes, bring me with him and he could use the washing machine and dryer up at the farm house while I ate toast with jam and a cup of tea. I could have cried. I was hormonal so actually, I probably did! Alex also spotted Gwyneth Paltrow and her two children up at the farmhouse which was orettt cool. Be realistic – you can go to Glastonbury pregnant and have a great time but you do need to adjust things a little. If you are used to dashing from stage to stage, it’s probably best to opt out of doing that this time round. Likewise, if you usually spend time raving it up in the south east corner, it is probably best avoided. It gets VERY packed there and a lot of people hanging out there tend to be intoxicated and many will lose the ability to know what’s going on around them. It’s probably not worth risking the accidental shoving that may go on. We camped above the Pyramid Stage for the first time since 2008 which meant we could head out to watch our favourite bands but could also hang out at the tent when tiredness got the better of me, but still have some entertainment. 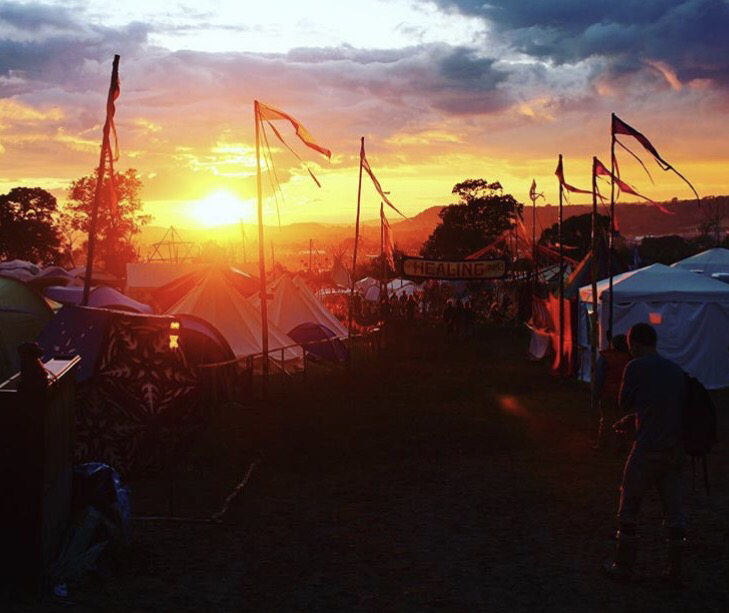 If there are areas of Glastonbury that you’ve always been meaning to explore but have always been too busy enjoying large quantities of Brothers cider and chasing around bands from stage to stage, dedicate some time to seeing those places. 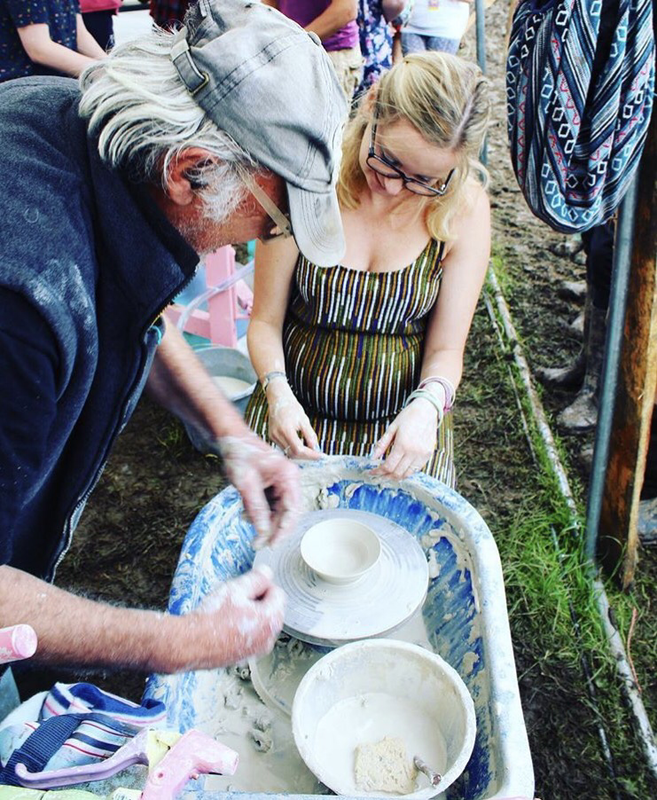 We spent quite a bit of time in the Craft fields which was brilliant fun. If you are anything like me in your pregnancy, you won’t be able to fit much in your tummy. Several food deals are happy to sell child portions of their food which I found was more than enough for me. Be warned, these child portions are rarely advertised so if you don’t see a child portion on the menu, just ask. The thing about Glastonbury is that in general, people are really helpful, especially those who work there. This is even more true when there is a pregnant person who is asking for the help. No one will want to see you having a bad time. If you need help, ask for it. Share your tips for a pregnant Glastonbury.